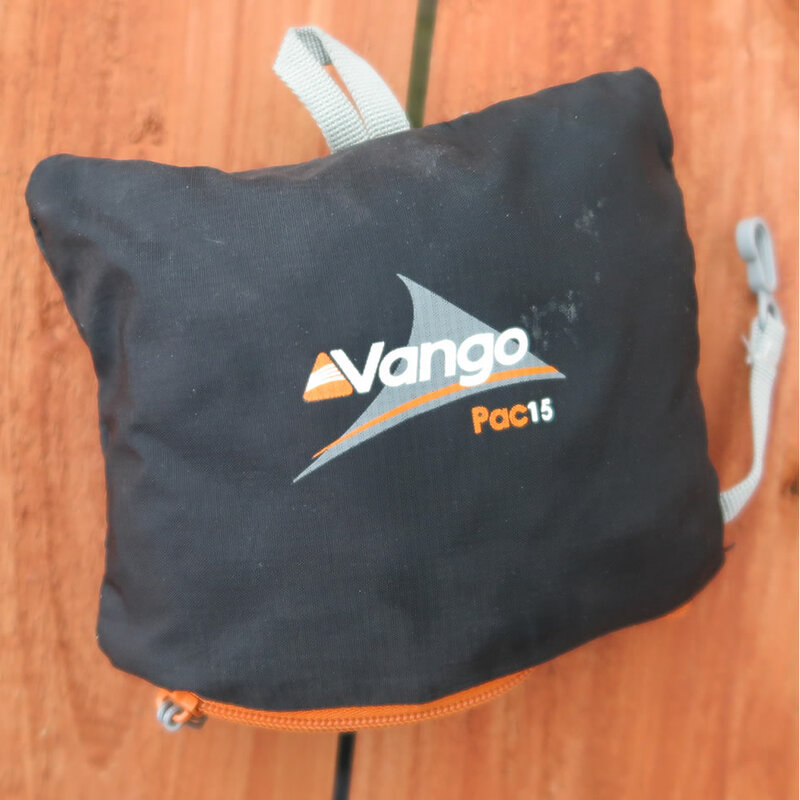 I bought this portable little Vango Pac 15 backpack in January of 2014, so just under three years ago now. I purchased it specifically for a trip to South America, but three years later it’s still in constant use! 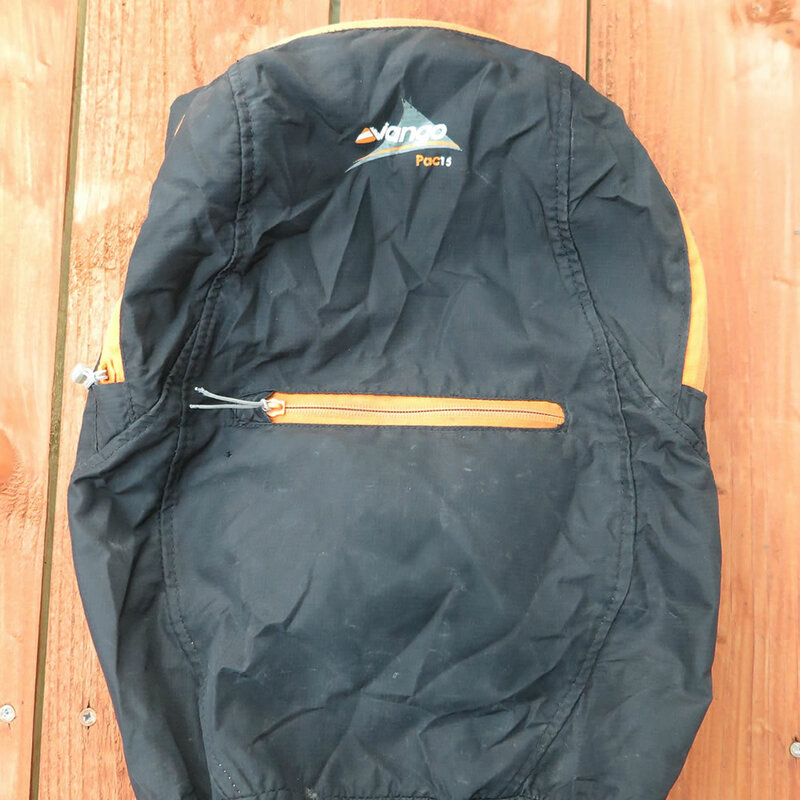 The size of this 15 litre model was one of the main selling points when researching different backpacks. I didn’t want to just buy a small bag that I would still have to carry around when not in use. When packed up, it is a minuscule 6″ by 5″ that you can easily put into a (large) pocket, or pack easily into a suitcase. When fully opened up, the size is 16″ by 13″ and you would never know that it is a foldable backpack that would fit into the palm of your hand. To give you an example of what can be fitted into this little gem, just imagine you are off on holidays and you want to bring this as carry on. 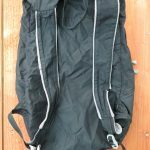 You could pack your 13″ macbook, a, charger, a book, some snacks, a small bottle of water, a jumper if it gets nippy and some earphones/change/keys in the front pocket area. Pretty impressive by my standards. Checking through my order history on Amazon, I see I paid £11 for this nifty little backpack. Today I see it costs £15.94, nearly 6 quid more for essentially the same backpack. This is most probably due to popularity and If I were to buy another one today I would have no problem paying this price. So I think it’s fair to say that this bag is well made, after three years through multiple countries, weekly grocery runs and much abuse later, it’s holding up very well, including the stitching – even after I have overfilled this backpack on so many occasions. 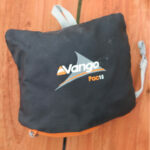 Please be aware that the Vango backpack is not waterproof. I have actually used this bag, in torrential down pours in Colombia and the contents (some fruit, a book and a phone charger) were a little damp, but not completely soaking wet! If you need complete waterproofness, look elsewhere. If you don’t mind bringing a ziplock bag with you, for any items you need to protect, don’t worry about it. 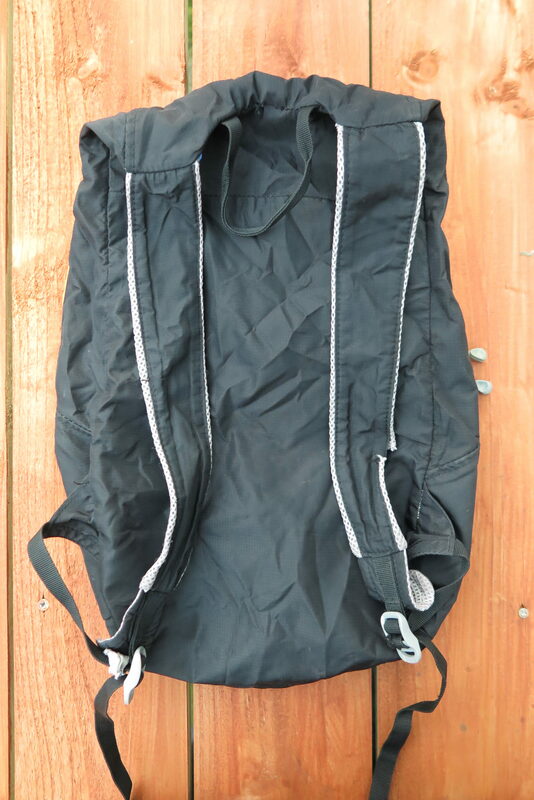 Fabric: The bag is made out of Excel® 200D Nylon material. No idea exactly what this means exactly but it’s very lightweight yet highly durable. Straps: The straps include a built-in mesh for airflow, for keeping you cool. Zips: The zip cords are quite long and easily found when you need to access your contents quickly. 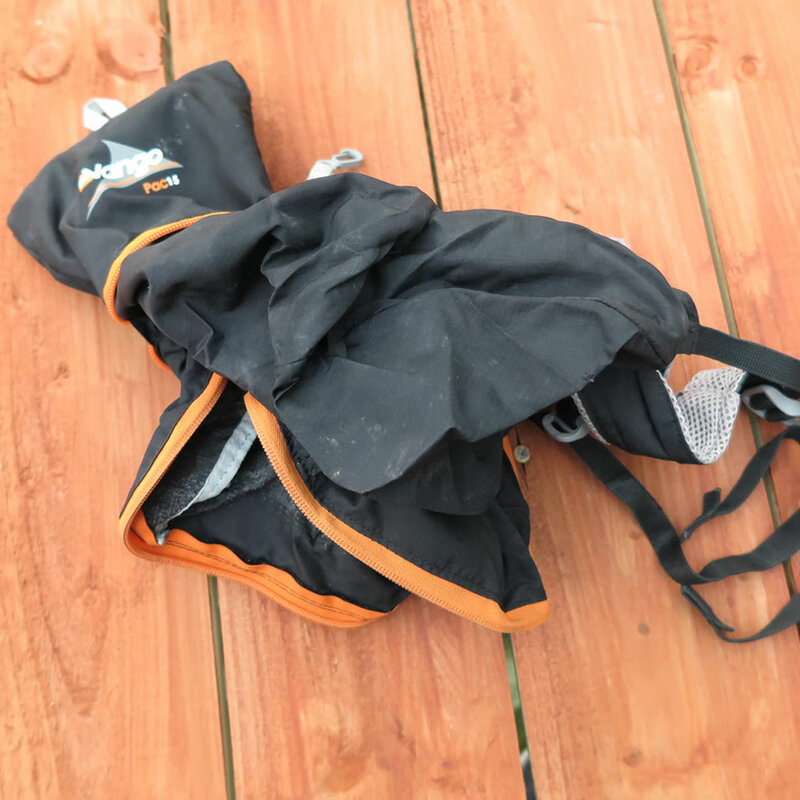 Stuffsack pocket – The backpack folds away easily into the front pocket. 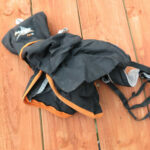 Duraflex buckles – These plastic buckles haven’t broken yet! Grab handle: There is a handle between the shoulder straps on top. 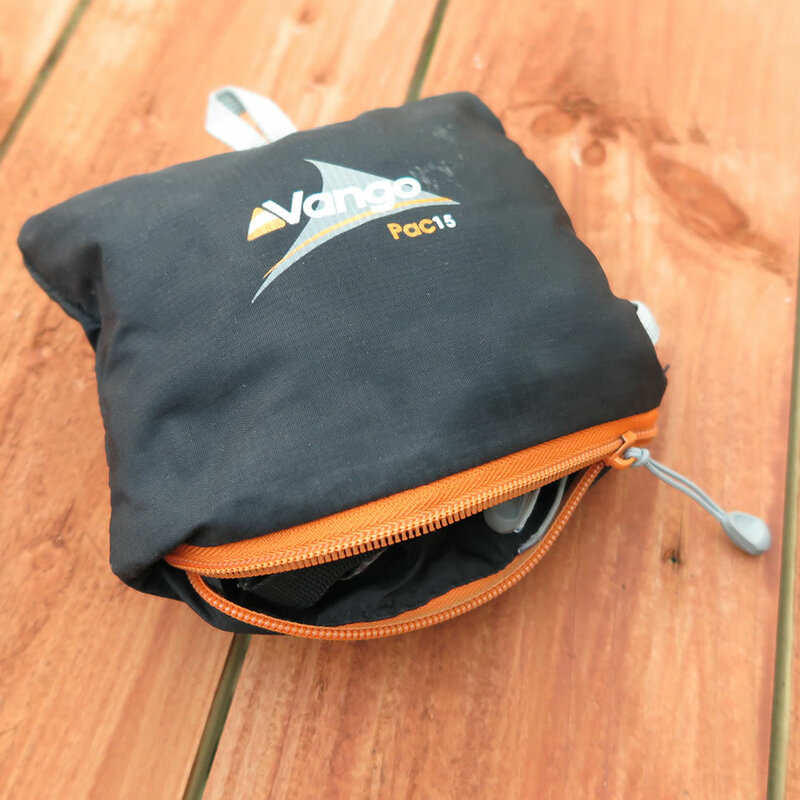 If you are in the market for a durable, yet small foldable day bag that is not completely waterproof, don’t think twice, get your hands on the Vango Pac 15 and thank me later.